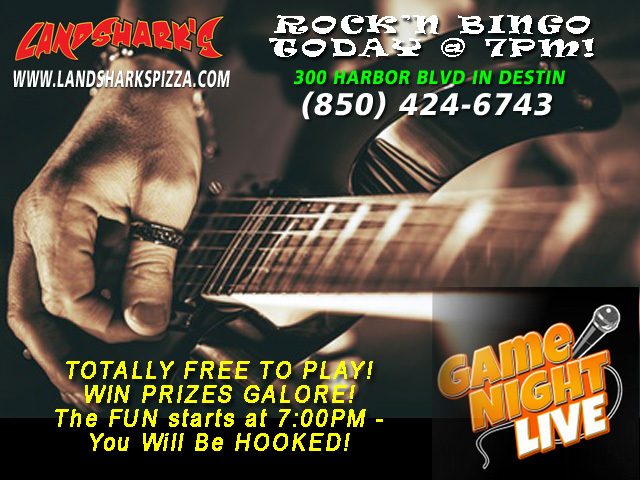 / Destin Sports Bar / Rock’n Bingo Tonight at 7PM – PLAY FREE, FREE PRIZES! Rock’n Bingo Tonight at 7PM – PLAY FREE, FREE PRIZES! 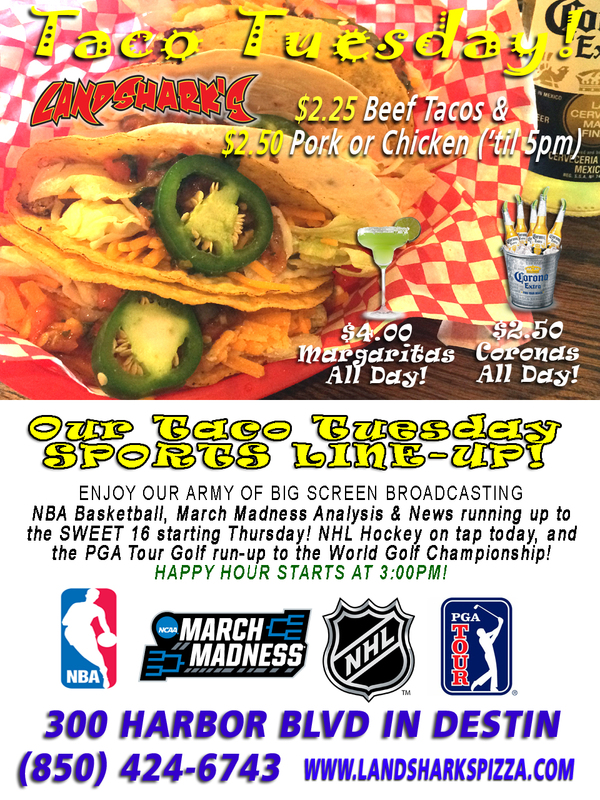 NOT ONLY IS IT TACO TUESDAY, ROCK’N BINGO GOES DOWN TODAY AT 7PM! The good times start with 2 fabulously fun Rock’n Bingo games with Hair Bands for Round One and 90’s for Round Two – enjoy THE BEST PIZZA IN DESTIN (voted 2016) and Award-Winning HOT WINGS, Oven-Fired Subs, Calzones, Custom-Built Grilled Landshark’s Burgers, and a great selection of Appetizers along with a FULL BAR of adult beverages. See ya here: 300 HARBOR BLVD – Call (850)424-6743 anytime. 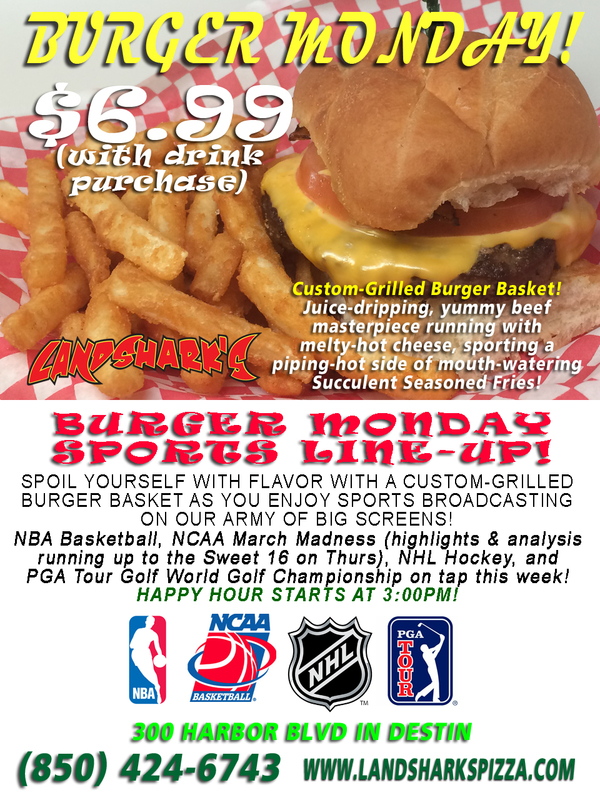 Previous Post: « Burger Monday – $6.99 with Drink – MEGA BARGAIN!